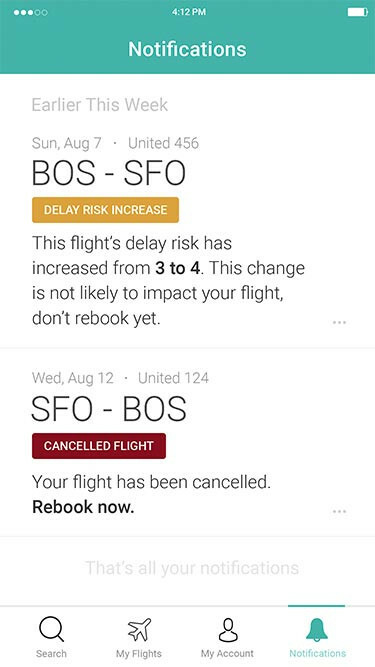 Turn the data collected from millions of flights into a user-friendly experience that helped travelers proactively manage and minimize the impact of flight disruptions, and make actionable decisions in case their flight was delayed. 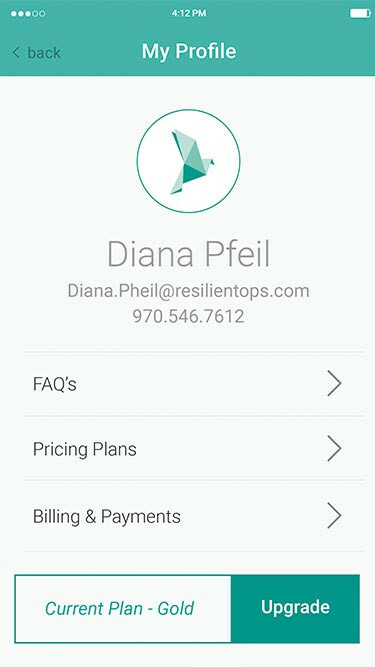 Resilient Ops was looking to create a usable and beautiful mobile app out of their initial vision. We mapped out the workflows, architecture, and user experience for the mobile application, and how the product vision would extend to the marketing site. 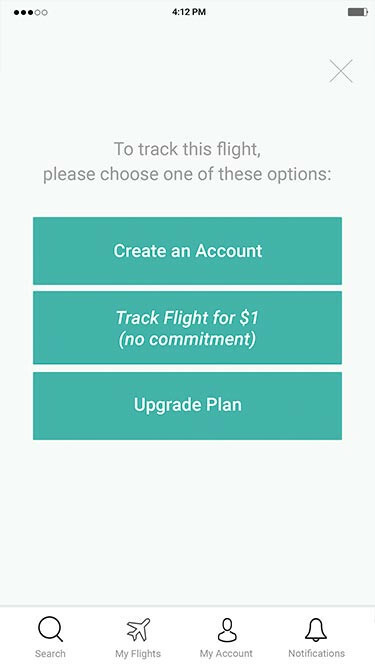 By clarifying and building the product strategy, we transformed an idea to create an analytical product to solve one of the biggest problems in air travel into a marketable product. 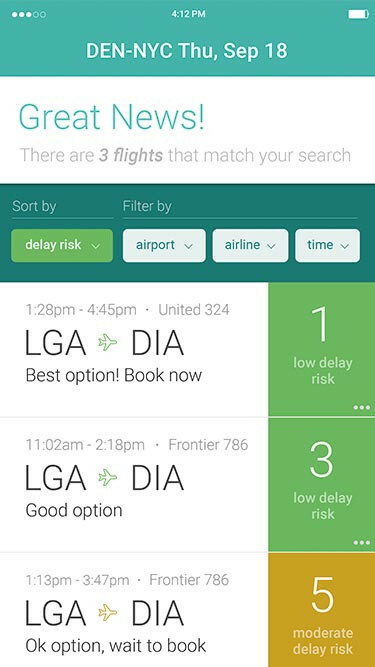 Flightsayer uses predictive analytics to track patterns across millions of flights, aiming to help business travelers select flights with the lowest risk of delay and rebook when needed. 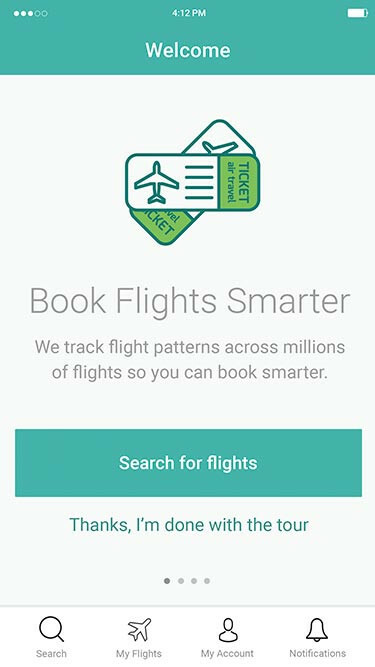 Though Flightsayer had collected data from millions of flights, they needed help designing the mobile application so it would be user-friendly to business travelers. 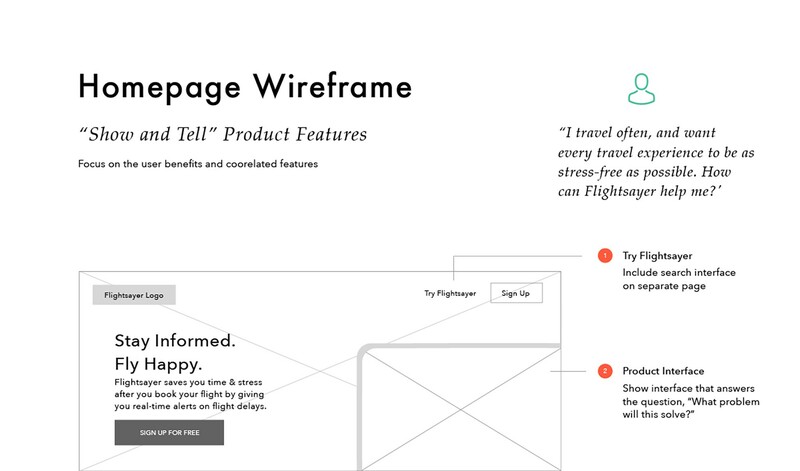 This is a wireframe for the Flightsayer homepage. While not exactly part of this case study, it's worth mentioning that Crow and Raven worked with Resilient Ops to design the app's main website too. Then the wireframe evolved into this for the final homepage layout. 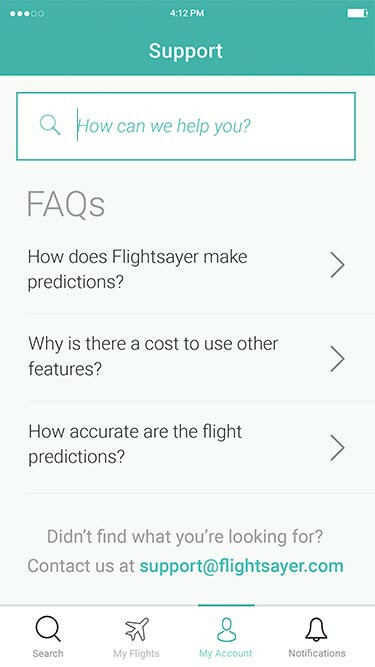 The primary goals were to 1) outline the key user workflows of the application, 2) develop the look and feel that would allow users to complete key user tasks 3) develop the user experience and interface that would aid in monetizing Flightsayer as a mobile application. Work through all the possible scenarios. We started by identifying the key tasks of the mobile application and architecting blueprints of how the interface would support each workflow. 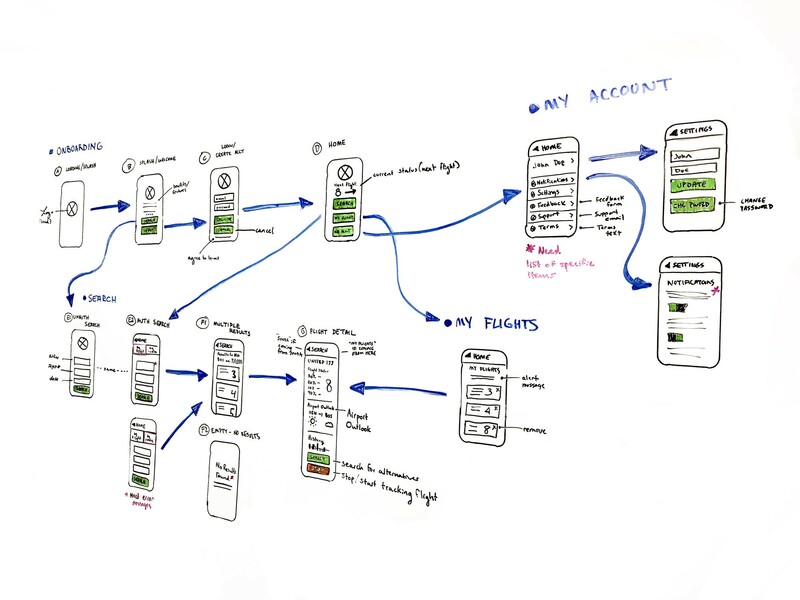 Then each interface sketch was incorporated into workflows to make sure nothing was missing. 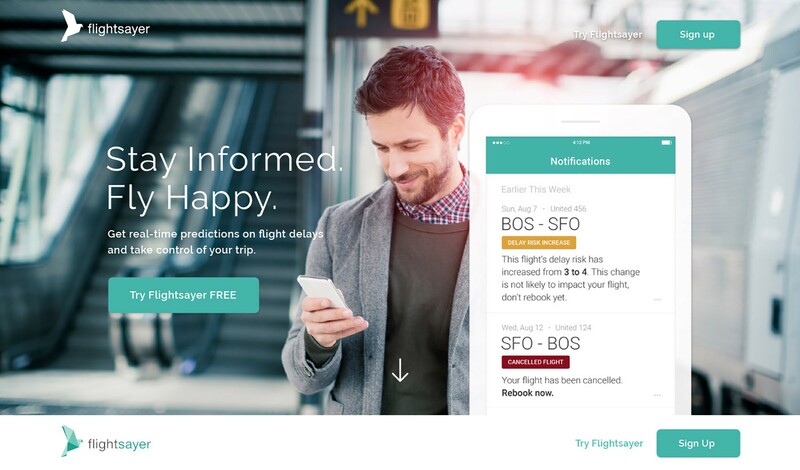 We had already established a design direction for Flightsayer's main marketing site, so the focus of the mobile app was to create an experience that would support a user's need to rebook when their flight was canceled or delayed. 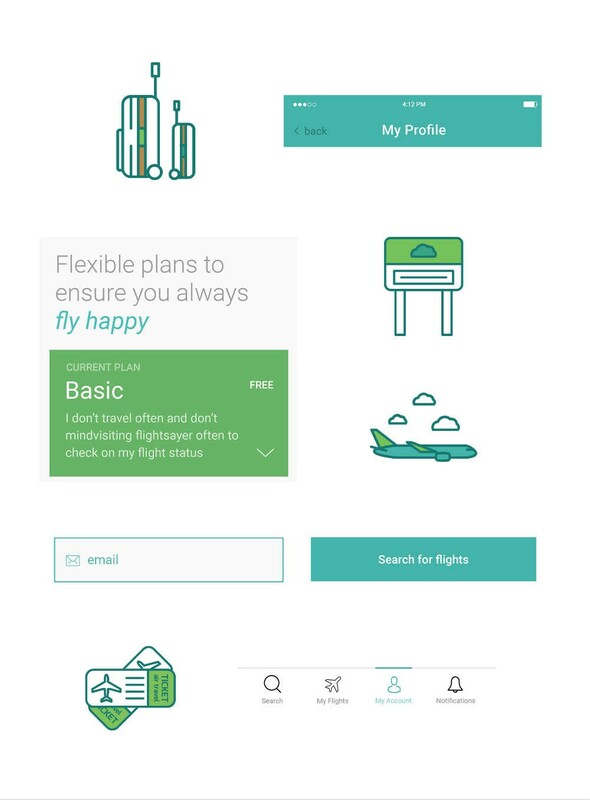 It was important to refine the brand language and interface so that it looked professional and friendly, but still conveyed the necessary information and user recommendations on mobile. "We contacted Crow and Raven because we were looking to create the UI/UX design for our mobile app. 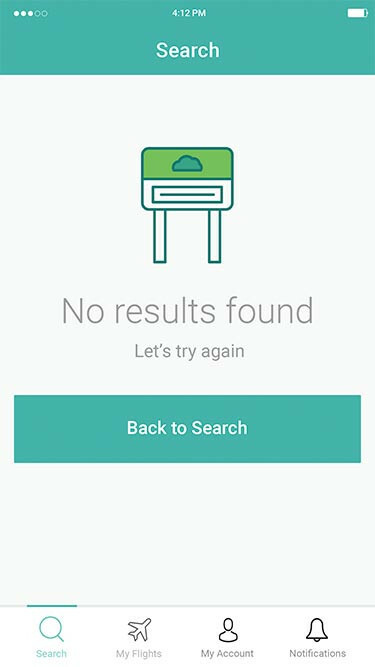 We knew some of the basic functionality were looking for in the app, but didn't have a clear idea of the workflows and design. 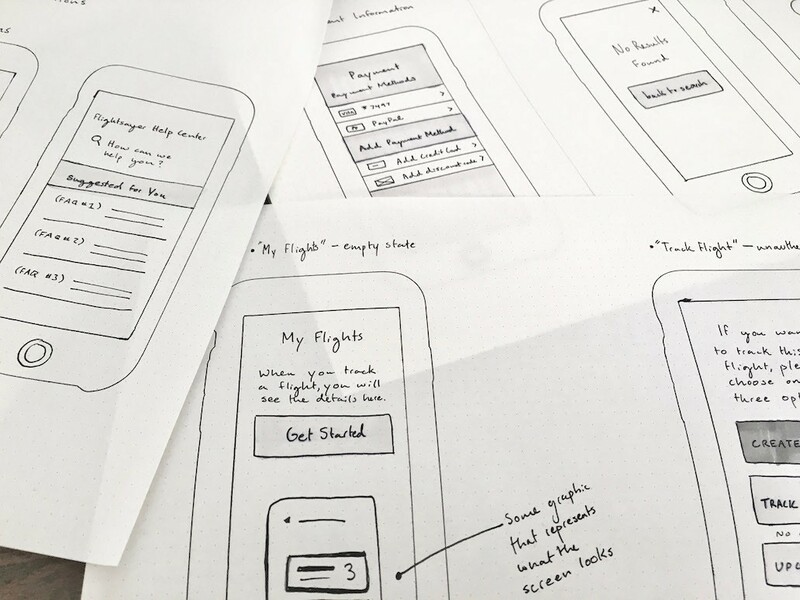 We also had no in house experience with best practices for mobile design, so we were looking for guidance and feedback on how our vision would work on mobile. They took the lead in helping us figure out how to create a usable and beautiful mobile app out of our initial vision." 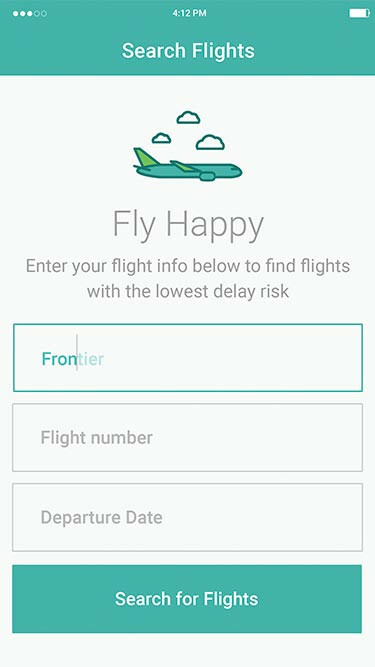 See how we tackled two other UX challenges similar to Flightsayer.